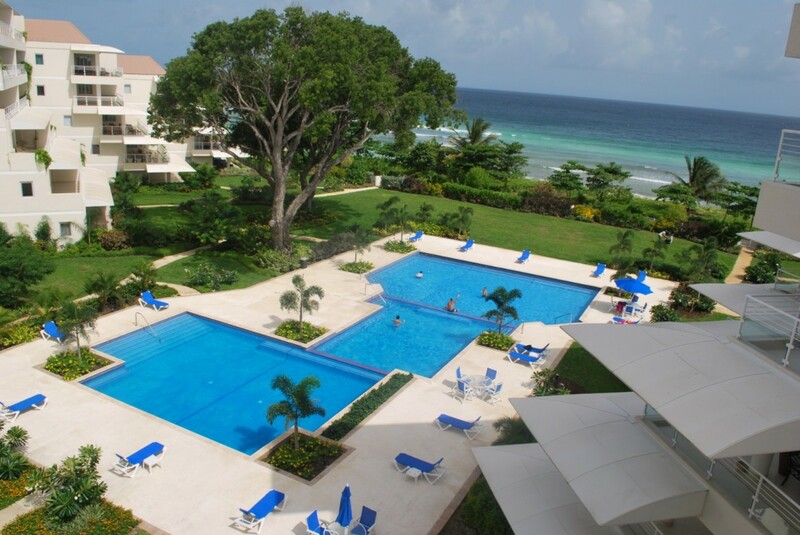 Villa Palm Beach 302, Barbados. 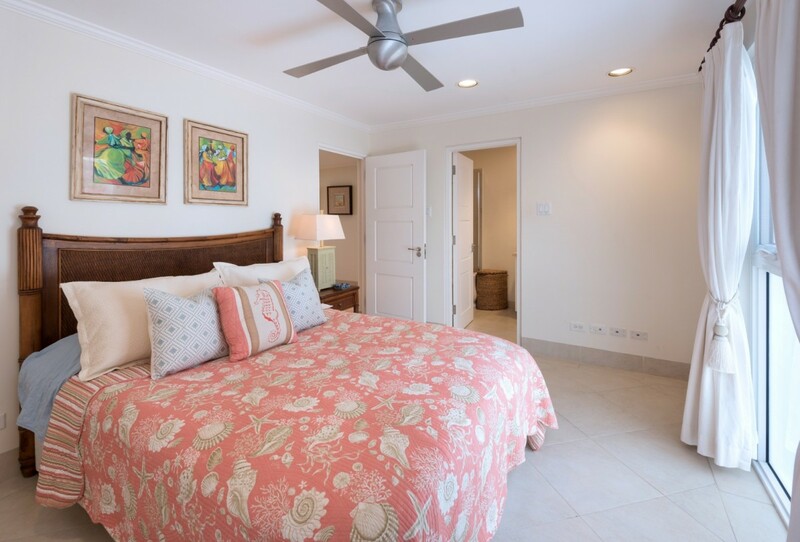 When you want to be close to the fun of Bridgetown, within steps of the sea and yet enjoy a private, villa-like retreat to call your own, you want to stay at the Palm Beach 302. 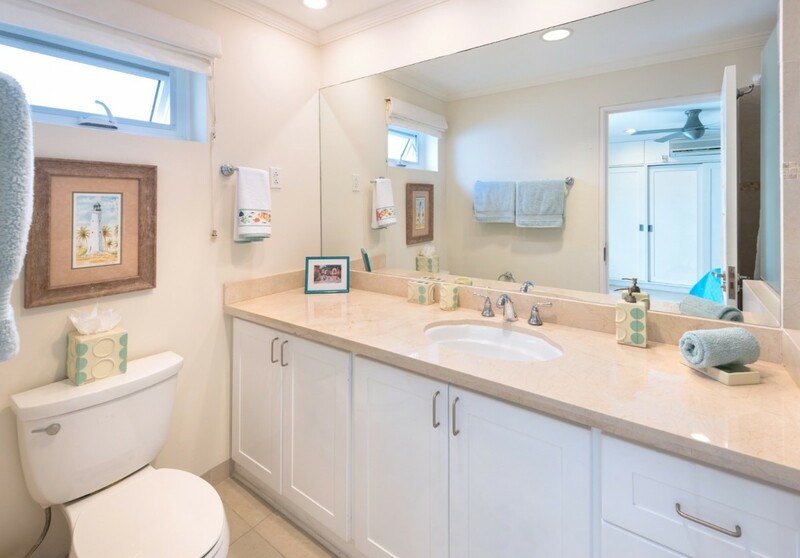 This third floor, condominium styled villa has everything a classic villa offers, and yet is part of a popular, waterfront community that ensures total privacy and access to premium amenities. 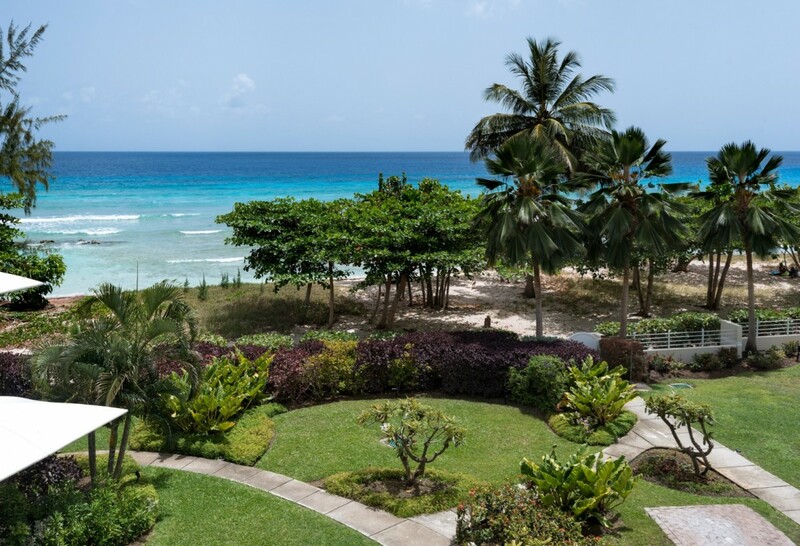 Described as the ideal choice for families, professionals or those eager to savor a quiet getaway, the Condominiums at Palm Beach offer an idyllic beachfront setting close to all of the finest dining, sightseeing, shopping and action Barbados has to offer. 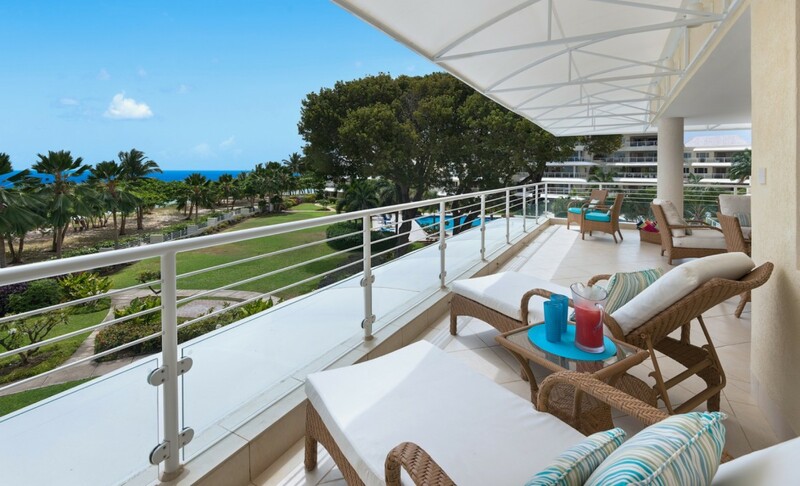 With direct beach access, concierge services, large and private grounds, a large pool area, and a fitness room, it can easily be your sole destination throughout your stay. When you are done enjoying all that the grounds have to offer, you can retreat to the beauty and comfort of your large villa. 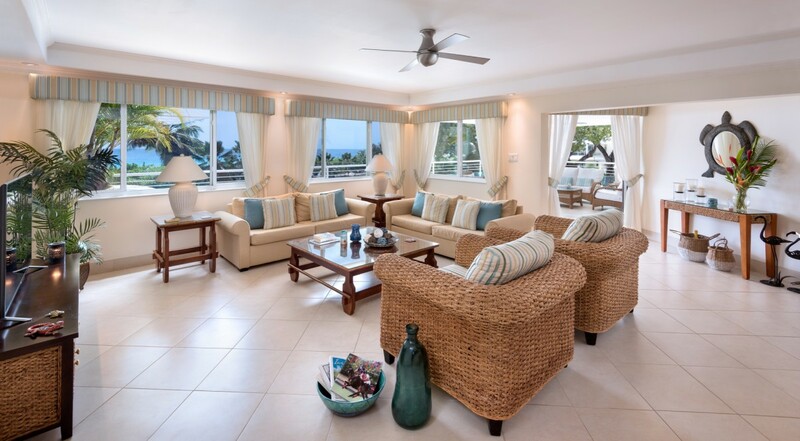 There is the enormous great room which is furnished with a living room and entertainment space as well as a dining area, breakfast bar and open air kitchen. 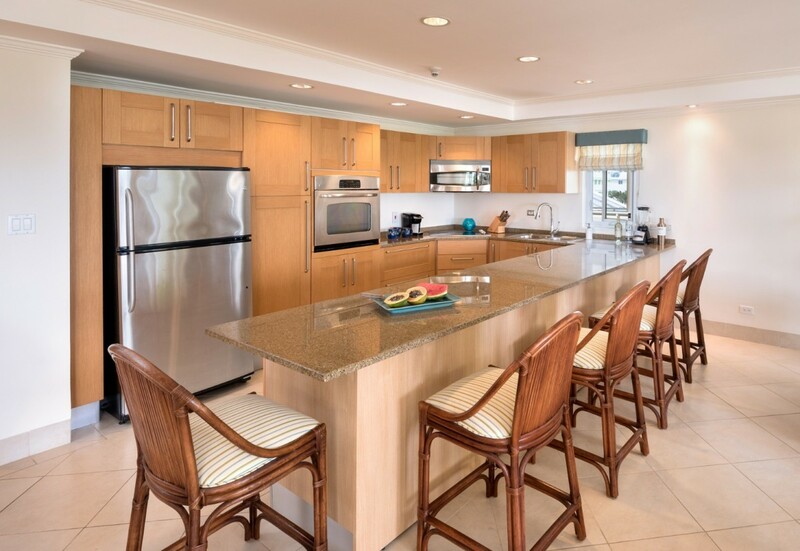 A truly gourmet kitchen, it lets you make meals or snacks while also savoring the sea views just outside. Exit through the arched doors and you reach your lovely verandah. 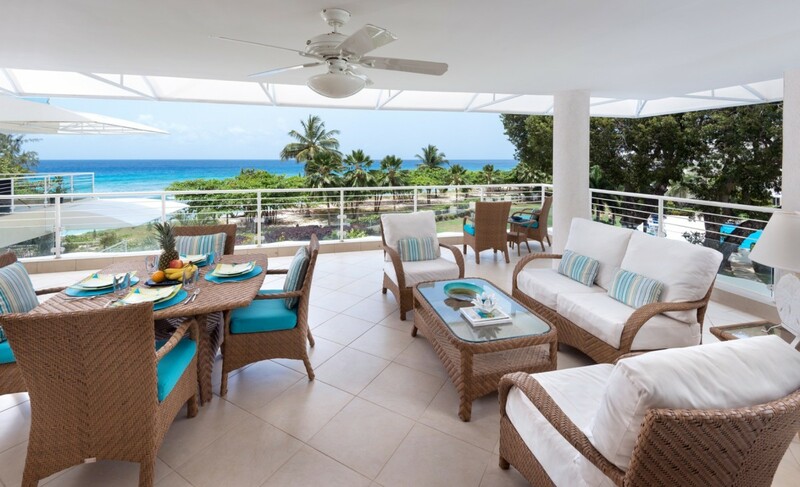 With al fresco dining area, and several lounging spots, it takes in those amazing views of the sea and the beach below. You can also access the bedrooms from the terrace. 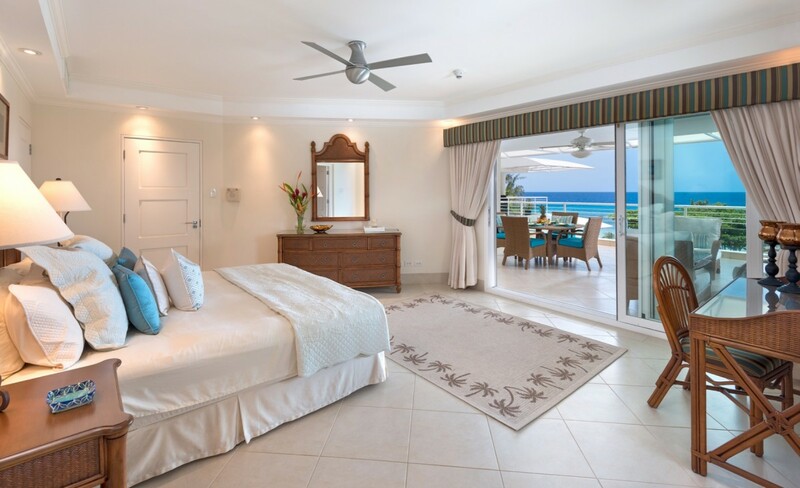 There is a master suite with king bed and two queen suites. 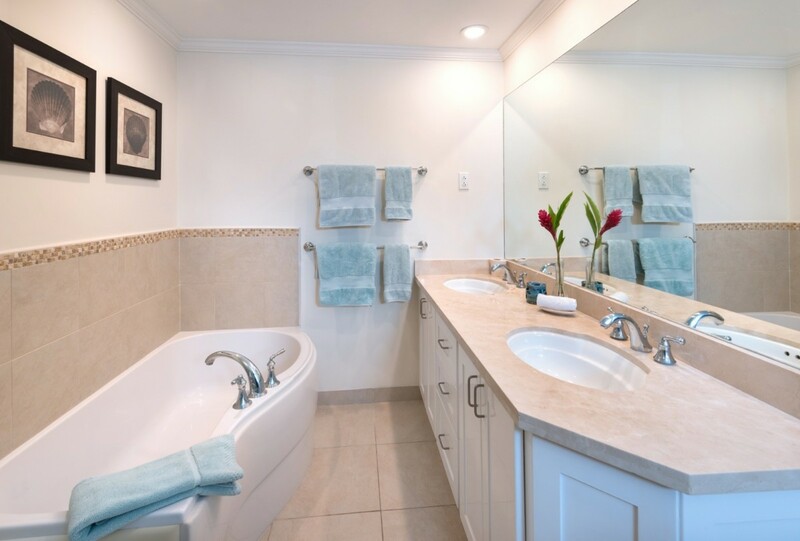 All of the bedrooms are decorated in bright and cheerful palettes and features oversized, private baths. 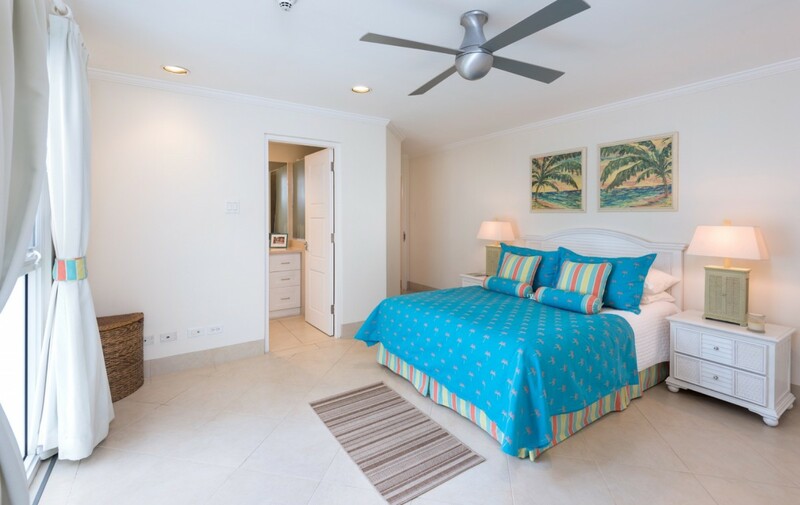 Ideal for a family or a group of discerning travelers, the Palm Beach 302 should definitely be on your must visit list for your next trip to Barbados. Bedroom 1: Master bedorom with a king-size bed, A/C, ceiling fan, access to terrace and en-suite bathroom with bathtub, shower, double vanity and wc. 2 guests maximum. Bedrooms 2 & 3: Bedroom with a queen-size bed, A/C, ceiling fan, access to terrace and en-suite bathroom with bathtub, shower, vanity and wc. 2 guests maximum. Note: The rates above are subject to 15.25% Tax/Service Charge. The location, oceanside, of this condo was excellent. The décor was lovely. We thoroughly enjoyed our two week stay. Walking distance to a number of restaurants. We would reserve again.